Lionel “Pinky” Atwill displays his enantiodromic approach to acting. Interest in Thorold Dickinson seems to be on a continual rise, which is a good thing in my book. Now we have his first feature as solo director available, THE HIGH COMMAND. Produced by Fanfare Films, a fly-by-night outfit who ceased trading after their single movie, it’s a military mystery/courtroom drama starring Lionel “Pinky” Atwill as a general with a shady past, Lucie Mannheim (THE 39 STEPS) as the rich wife of pathologically jealous Steven Geray, and a young, skinny James Mason as a dashing officer who romances her. It all comes to a head when a sleazy British military doctor is murdered, and the events take place in a West African colony on the Gold Coast. Despite a meagre budget, Dickinson insisted on grabbing some authentic location shots, and he folds them into the studio stuff with cunning, if transparent artifice. 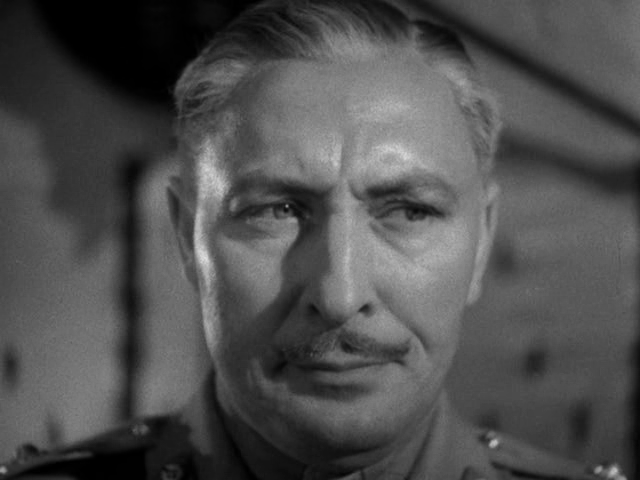 His background as an editor reveals itself with jokey use of sound and snazzy transitions, and if the plot is a somewhat contrived affair (last-minute re-writes were required to appease the censor, who objected to anything showing British officers in a bad light), it’s consistently entertaining. 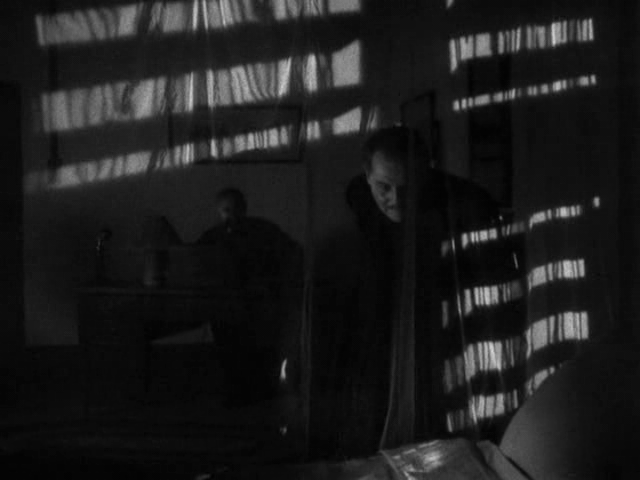 Otto (PEEPING TOM) Heller’s cinematography produces some striking moments, and even the sequence where documentary shots of a firelit native ceremony is intercut with studio closeups of the Brit stars is reasonable effective. The trouble is, of course, that the location material has unavoidable rough edges, which nobody would dream of replicating in the studio material, so a certain clash of styles is inevitable. 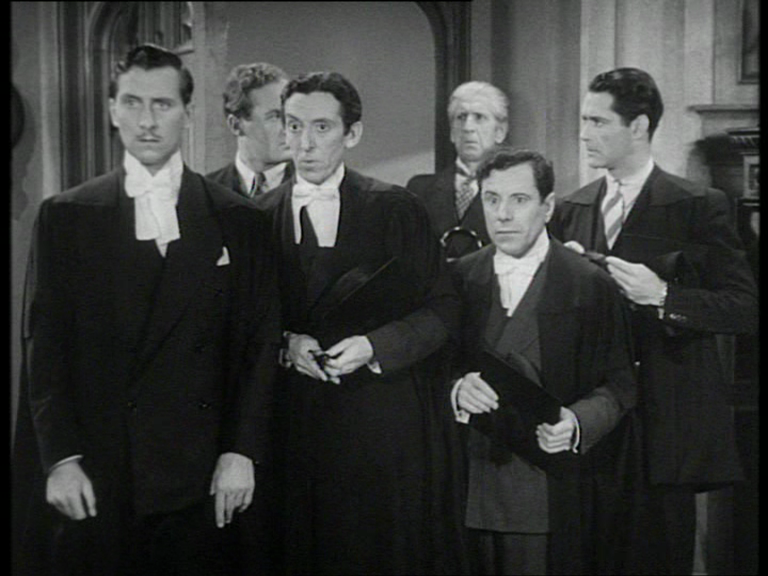 One appreciates the effort, though, and Dickinson’s foreign travel opened his eyes to the realities of colonial life, which fed into the film’s lightly satiric attitude. 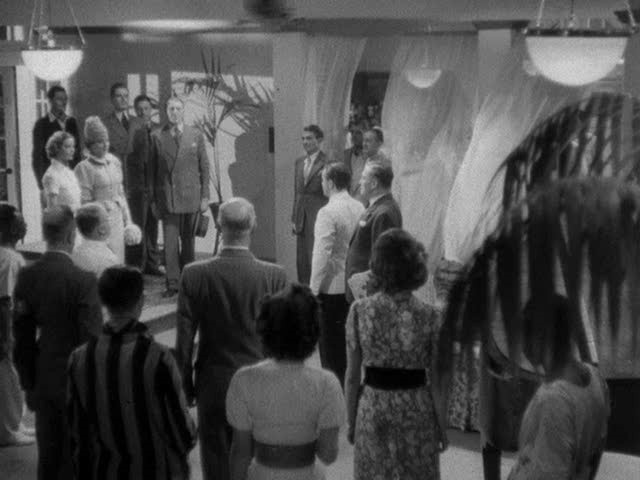 In particular, Graham Greene’s review singled out a scene where a colossal gust of wind blasts through the colonial club while the national anthem is being played, and nobody can close a window or suppress a billowing tablecloth as everybody’s too bust standing to attention. My Dad reports than in the ‘forties, during his film-going youth, the national anthem was played at the end of every programme at the local Odeon, and there’d be a stampede by the audience to get out before it started, otherwise you’d be stuck standing to attention for the full six verses. It’s fascinating: everybody knew it would be disrespectful not to stand, but it was considered perfectly respectful to elbow your way out of the auditorium at high speed to avoid standing.